Have we been better in 15/16 than 14/15? So did we make any improvements from last season?? We had 28 wins, 6 draws and 4 losses this season compared to 30 wins, 2 draws and 6 losses that we got last season. We conceded 34 goals this season compared to the 38 we conceded last season. 7 of those were against Sevilla and Barca. We had more wins and goals last season yet our record against the top teams was quite poor compared to this season. We had long term injuries to different players. This season it was Bale, Carvajal and Benzema. Last season it was James and Modric. We were able to cope this season because the bench players did so well. We struggled without a DM last season and this season. Since after Casemiro was incorporated into the line up (following the Atleti loss) we have had 12 wins, 1 draw and 1 loss (the draw and loss were both in the CL) conceding only 6 goals in the process. This has re-emphasised how important a player like him is to this team. We have also seen the tactics of 3 different coaches. Carlo who allows our players to express themselves without holding anyone accountable, Rafa with the most negative tactics since Mourinho and ZZ with a mixture of the 2. We also saw better rotations this season compared to last which now sees our players in such good shapes. Our players individually have also improved including Bale and Benzema. Some other players who were great under Carlo but shite for Rafa have also rediscovered their forms under ZZ. All in all, do we think we have improved since sacking Carlo. In hindsight, was the sacking justifiable? If we win CL does that mean ZZ is regarded as successful as Carlo for us? I'd say that the football we played in the first half of last season has been the best we've played since 02/03, completely dominant, due to Carlo for the most part. But also due to his lack of rotations we were jaded in the second half and couldn't keep up the pace. We peaked at the wrong time, pretty much like Barca this season. That 3-1 against Barca is one of the best clasico performance I've ever seen from us. We didn't reach that level this season tbh, but we peaked at the right time. We have been very good since ZZ took over. I'm sure Carlo would've been able to cut through Roma, Wolfsburg and City like carving a cake. You'll have your answer after the CL final. @The Demon of Carthage wrote: I'm sure Carlo would've been able to cut through Roma, Wolfsburg and City like carving a cake. I don't really feel you can compare last season to this one! You may be able to compare the halfs! On the whole year, no this year has been overall disappointing, judging by the constant negative posts, all season long. However, i do believe that Z was put into the job to salvage the team, to bring back some respectability. That he has done. I don't accept those saying Carlo would have had us a same position. He may have, but I highly doubt it, given the injuries we had this year and his highly visible flaw of only playing 12 players. 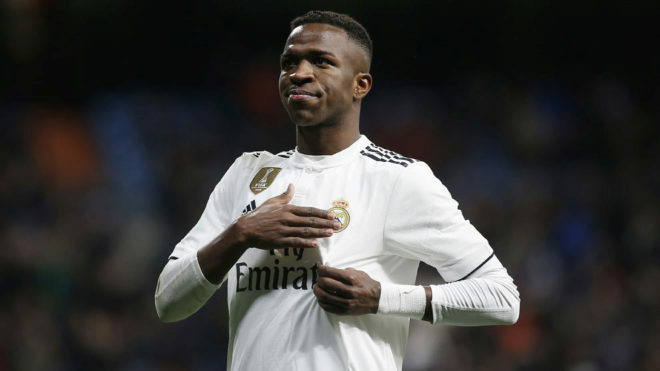 What Z has given us (and why I feel he may in the long run, be better (at least for us) than Carlo) is use of the entire squad (too bad he wasn't given reserve CF and LB) and his insertion of a defensive mid fielder has been brillant even if Casemiro is not the world beater we need. And if Z does beat Atleti, the he will have equalled Carlo's results in just half a season after a huge disadvantage at start! But even if we do win CL, I don't think you can say this season is better simply because of the many disappointments we have had to endure. Carlo definitely would have found a way to *bleep* league up if he was still here. I think the real reason we can't win the league is our non existent transitional defence. Can you believe that Real Madrid is the worst counter pressing team (ability to win the ball back before 7 passes of opponent after losing the ball) in the entire La Liga? Both Atletico and barca are in top 5. No wonder our gks are motm every single match. We can't win the ball, actually it's more matter of dont want to expend energy defending than about ability. This is where CR, Benzema and to an extent Bale badly affecting the team, winning the damn ball back. All those matches where we struggle the first half goes by nothing happening... Why,? Because we are chasing the ball more than we should be doing. If we can't sort out the ball winning mechanism we won't win the league, simple as that. We didn't win the league because Zidane inherited a 7 point deficit when he took over inJanuary... end of. Since he's taken over, we've been the best team in La Liga by a sizeable margin +6 over Barca and +7 over Atleti in terms of points. Also, we always finished the seasons limping under Carlo. We could get ourselves up for cup games because we basically mailed in the league games at the end... only prepared for cups. Zidane made us compete equally hard for league and cup games while winning them almost all. Finally, our record against our top rivals was downright pathetic. In the end, this last part clinched Carlo getting fired. - Chelsea blew a massive lead in the second half of the season. - Couldn't win La Liga despite Barca being in relative turmoil with their manager leaving due to cancer and a novice in Tata Martinez taking over. this is utter garbage rafa holding players accountable should be normal, that doesn't make him a clown, just like how carlo getting along with players doesn't mean he was coaching, the players like cr and ramos cost us the title, why can't people be honest about what happening on the pitch? ramos is always average majority of the season, usually one of the main reasons why the team drops points, why can't the coach say anything to him? cr has been salty all season clearly faking it with zidane, just because his strike partners aren't his slaves anymore, anybody with a brain know damn well that why he is was upset. just because rafa is an easy target doesn't make the garbage being said about him right, zidane clearly benefited from a lot thing rafa had left in place, if the team aka cr and ramos went a long with what he was trying to do from the beginning instead of whining about carlo for half the season, who knows what could've happen. agendas is making discussions on this forum unbearable, its just saying something negative about a certain coach or player, is cool no matter how stupid and baseless the argument is. agendas and sheep mentality are a bad combination . Well ,CR tried to get Rafa sacked and won eventually. Rafa making Bale the go to guy didn't sit well with CR but the hilarious thing is James, Benzema, Ramos also sided with CR to get Rafa sacked... I have never seen a more walkfest than the clasico under Rafa which I'm pretty sure they intentionally walked to get him sacked. Bale was disappointed at the sacking and only him... We all know why. Truth be told, if we don't win the UCL, only technicalities would separate this season from last season and we should try not to get into those. Also, Rafa's genius and out of this world tactics were indeed too amazing for our dunderheaded players especially Ronaldo. Shame he got fired, he would have done the same like Zidane. Chad, I think you're the most honest and intelligent Madrid fan around. I don't think you should waste your time arguing with biased, simple-minded sheep with agenda-driven mentality like us. What I think you should do is create your own forum and let your matchless, brilliant logic flow free with no one around to read it. After all, I don't think we're even fit to read your wise words. 1. Rafa is a brilliant manager, probably the best in the world, and he was unfairly sacked. 2. Benzema is the best CF in history. I'm sorry...... what the f are you people talking about. Benzema and Bale were fantastic under Rafa. In fact, i would argue that both's forms dropped under Zidane (mostly due to injuries). Yet somehow they sides with CR to undermine Rafa? ffs Only Marcelo, Pepe and James may have done this... and who cares about James. The biggest significant issue with Rafa was his line gaps that left 2 midfielders to handle 50% of the real estate. It failed miserably both on the attack and on defense. Second issue that relates to the top one was that, other than the midfielders, the other players weren't in great shape since they were covering so little ground BY DESIGN. Once Zidane fixed the line gaps and players had to run more, they needed time get their fitness up. Final issue was man management... Rafa was pathetic at it. As far as Carlo's last year.... we won nothing, weren't in the race for La Liga in the last month and didn't make any cup finals. To boot, we were in horrible form in April and May mostly. So how is that the same as this year? Please enlighten me. you know why he opted to play 90 mins with a possible knock, no injury=benzema scored a brace in 70+ mins.. rafa is an idiot for the sub, that how the spanish media was ready to spin it. benzema already said he is gonna play harder not to be subbed as much, rafa can't ignore that cause he spoke publicly and france match was the statement game, no need to be all cynical when posters like you always ask for these things. no back and forth between benz and rafa, this would just be a typical injury from a NT that it. the only reason he defends rafa now is cos he believes rafa's the reason "you know who", got into a bit of goalscoring form earlier on in the season; cos rafa set a goal target for him. i think by christmas only 1 or 2 players where ahead of him in la liga goals. imo if a player is that good he doesn't need a coach to tell him what to do. That's not what happened... CR was upset because Rafa made Benzema the primary goalscoring target as opposed to him. So you saw CR's totals go way down while Benz went way up. Pouted like the child CR is, stopped playing hard and started his little insurrection with Marcelo, Pepe and James. Once Zidane came on, he re-emphasized CR as the primary goalscorer and Benz took a secondary role per usual. CR's goals went way up while Benz' dropped. ZZ didn't do this because it was the right thing to do tactically... he did it because it was the only way to unite the locker room given how selfish CR is. It was very obvious. That's the cancer CR can be. Our attack is a zero sum game. You can't score more than 110ish La Liga goals per season. That's already amazing as it is. So if someone is going to score more, another player or players have to score less. You can't just say that one player needs to step it up and we should score 130 goals for a season. It's impossible. Even Barca only scored 112. Heck, we scored 118 last season and it was absolutely crazy (Barca had 110). The idea is to have as many players in top form as possible so you have multiple threats in the big games. It's not about how many each score in a season unless our team totals are low... which they are absolutely not. That's always been my issue with CR. He needs to sacrifice himself and only score 40ish goals per season so the other guys can get their 30. If he's going for 60, well that means all those opportunities and shots are going to him, not the others. Hence Bale and Benz are at 20-25... not to mention our attack isn't diversified. Come the big games where he flopped, we didn't have any of the other guys ready to step in since they were playing such secondary roles... not to mention the team wasn't used to looking to set up the other guys. You can't just change things and ask players to play different roles like a light switch. It's a team game. So the team has to practice and practice the manner in which they attack and how they identify scoring opportunities. If they are primarily used to looking at one player for 95% of the games and he's not there for those 5%... well, the team isn't ready to cope. If the team was more balanced and the scoring load was carried by 2-3 guys all season, then when one is having a bad game, it's not a huge problem to compensate. whatever rafa did or attempted to do, it clearly did NOT work, and so far, zizou has been able to keep us in the fight and in the final with his system. granted it's not fun to watch at times, but i prefer us being able to grind out something than losing in crunch moments and having guys score 5,6, 7,8 goals against mighty rayo, getafe and that team we played in ucl....which was what happened. i feel bad that i've forgotten what team it is, but i was so ashamed; we just lost clasico, and in a game that didn't matter, it was like guys decided to up their score card.....but yes, whatever rafa did or planned on doing did not work, and everyone here felt we were doing a bunch of clown sh** under him...let's not act like he had some dynamic plan that he wasn't given time to execute. This is the big reason i never wanted CR at Madrid and wanted him gone yesterday. You can't win like this. Messi' strength is that he can become a passer if others are ready to step up... which he has for Suarez and he has in the past for Villa, Pedro, Neymar, etc. CR doesn't have a collective bone in his body to do that. That's a lot of assumption coming from us fans who aren't exactly privy to these things. Not that I am agreeing or disagreeing with any of those assumptions, just concerned about the validity. In any case, we are arguing about technicalities suitable for a player vs player comparison. Comparing seasons however, a non UCL win this season pretty much doesn't make this one any different from the last (unless you get into technicalities). His gameplan was overall crap... but it wasn't 100% crap. He just didn't know how to sell his concepts to some of his superstars and the team got fractured... and looked fractured on the pitch. The biggest thing Zidane did was sell everyone into what he was doing and bring back the rogue players into the fold. With all due reapect to Zidane, he did nothing new. He went straight back to what Carlo had put together for the previous two seasons, and with much higher morale the team started rolling again. Zidane did not sell anything new, he just reset everything to ancelotti ways. We're much better organized defensively under Zidane than Carlo... overall 433 shape is the same but the execution is different. For example, Carlo had Benz dezone a ton to help buildup and Zidane has mostly left him on top while making Bale be the primary guy to dezone out of the front 3. If we happen to lose the ball, Bale is already in defensive position. When Benz was dezoning, Bale would fill in on top and he had a long ways to go to recover defensively. We're also playing a DM as opposed to Kroos back there. Finally, the defensive line plays about 10 meters higher with the gaps being shorter. It is a significant adjustment to the same overall shape. Btw, people used to say the same thing about Pep too when he got started at Barca... he wasn't doing anything new apparently . His adjustments were similar in the sense that he played defense more aggressively within the Barca system. Zidane has implemented the same initial concept as much as possible. A lot more defensive activity. So much you can do midseason anyhow. But don't downplay it. I dont know what's "better organized" The one difference is the personel in midfield seeing as we play Casemiro a recovery expert with Kroos and Modric. If there is a difference, that's it. Everything else you described in terms of Bale dropping back, we saw that before, just look at the juve game. We have one more defender in midfield that plugs holes, fights and wins 50/50 balls Kroos never could, and kills counters kroos never could. This version of our team is better due to personel arrangement, not due to a tactical revolution. You want to give him credit for that? i dont mind. But let's remember he started by playing Isco-Kroos-Modric until he realized that was foolish and brought back Casemiro. He hasnt invented lightning here. I respect the way the team is gathering around him and responding to his orders, but that's his biggest contribution: team management. I'll put it this way... the CBs under Carlo played a lot lower. That's pretty typical of Italian managers. They all stay at home. But the gaps are larger as a result. Under Zidane, the CBs play up very close to the midfielders and, thus, the midfielders don't have a long ways to go to recover. Also, it allows for the CBs to push into the attack once in a while because the midfield is right there to cover... you see Ramos and Pepe make runs up the pitch which you never saw before. Rafa (and Carlo) also put a lot more pressure on the fullbacks since they had a long ways to go from defense to attack and back. With this setup, the fullbacks are better covered... you don't need a superhuman effort from Di Maria for example. It's just a lot more of a team football concept than 3 distinct autonomous lines. It's different movements starting from the same basic shape. Zidane took Carlo's tactics and added more total football elements to it. I think he takes that several steps further next year. Limited in how much he can change just because of when he took over. But it looks promising. And btw, Di Maria saved Carlo's arse that first year. We were headed towards just as catastrophic a path until circumstances forced him to play Di Maria as a B2B on Marcelo/CR side. Once Di Maria left, his defense crumbled in the 2nd year once our attack came back down to earth. When you say "the CBs under Carlo played a lot lower" which example are you using the support than argument? second half home CL game vs city? or last game of the season away at depor?